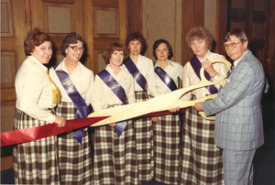 T he British Columbia Operating Room Nursing Group (BCORNG) was established on May 5, 1966 to promote the development of standards and policies, resources, and research in operating room care, as well as to advocate for the educational needs for OR nurses through conferences, workshops, and community lectures. 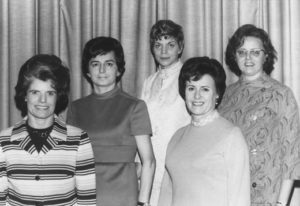 The first BCORNG Provincial Executive (1966-68) included Joan Flower (President), Anita Williams (Secretary), Corinne McGibbon (Treasurer), and Ellen Schrodt (Vice-President). The BCORNG has operated as a professional practice group for over forty years under the auspices of the Registered Nurses Association of British Columbia (RNABC), subsequently CRNABC. The BCORNG is administered by an executive board that is composed of the President, the President-elect, Recording Secretary, Corresponding Secretary, and Treasurer. Officers are nominated by the Nominating Chairperson, who selects two committee members to provide a list of candidates for consideration at the Biennial General Business meeting. To better serve the needs of a diverse membership, the first BCORNG Provincial Executive created regional divisions: Vancouver, Vancouver Island, Fraser Valley, East Kootenay, West Kootenay, Kamloops-Okanagan, Northwestern and the Northern Interior. Regional executives are responsible for promoting the highest quality of perioperative nursing care to patients, as well as promoting and facilitating educational opportunities for operating room nurses. The BCORNG has over 600 members. In 1994, the categories of membership were expanded to include active, corresponding, associate and retired nurses. Annual meetings are held, with every second one in conjunction with the Biennial Institute Conference. 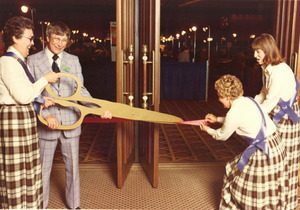 This conference is known for the “cutting of the ribbon” ceremony that opens the exhibit displays. The BCORNG distributes itsquarterly newsletter, News and Views, three times a year to its members, and also supports standing committees and task forces in the areas of membership, education, publications, research, and standards. In 2009, the British Columbia Operating Room Nurses Group (BCORNG) incorporated as a non-profit association under the Society Act, and the name was changed to the Perioperative Registered Nurses Association of British Columbia (PRNABC). In addition, a new logo was selected by the membership. Much of the transformation was guided by strategic planning that the executive and board embarked upon for the first time in 2008, which incorporated results from a membership survey. The executive are now known as Directors, with the Board continuing to be made up of the directors and two representatives from each of the eight provincial regions. The fonds includes nine boxes of records dating from 1966 to the present. These are generated by the operation of the executive, the residing presiding officer, and the biennial meetings. The biennial meetings material includes programs and brochures for most years; minutes, correspondence, committee reports and financial records are also included. Records of meetings and related documents for the Vancouver region are included, but the other provincial regions are represented only by reports submitted to the executive. Membership lists for many years are included. Numerous reports from BCORNG committees and other sources are included. These are mainly concerned with competency levels of OR nurses and operating room standards. Over five hundred photographs document the Biennial Institute Conferences held every two years beginning in 1968, all of which are individually described. The last conference thus documented was held in Victoria in 1996.